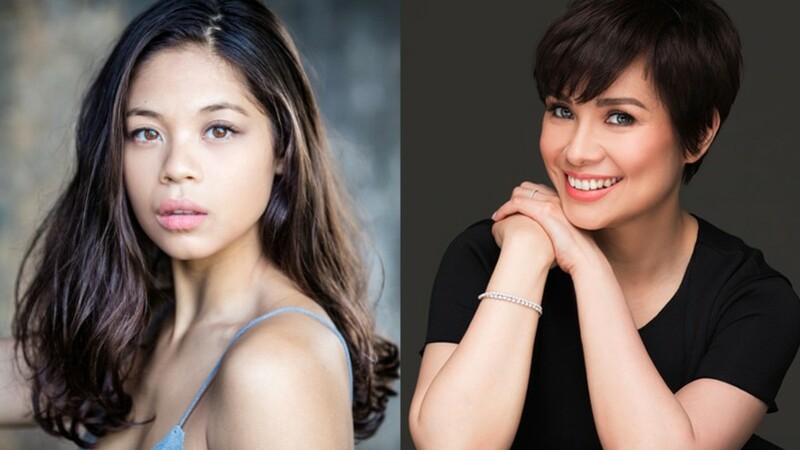 On Monday morning, September 10, it was announced Tony award nominee Eva Noblezada headlining her first featured film, alongside Tony Award winner and The Voice of the Philippines judge Lea Salonga, in the upcoming musical film “Yellow Rose.” Noblezada will be playing Rose, while Salonga will be playing Rose’s aunt. When the news broke out, the Miss Saigon alums—both of whom played the lead role of Kim in 1989 and 2017 respectively—both expressed their excitement on Twitter. According to Playbill, the film directed by Diane Paragas follows the story of a 17-year old Filipino American girl from Texas named Rose who secretly dreams of becoming a country music star. However, she has fend for herself when her mother is arrested by Immigration and Customs Enforcement, forcing Rose to choose between following her dreams or face deportation with her mother back to the Philippines. “Yellow Rose will feature original music composed and performed by the cast composed of Eva Noblezada, Lea Salonga, country artist Dale Watson, Liam Booth, Gustavo Gomez, Libby Villari, and Pinay actress Princess Punzalan. The last time Eva Noblezada and Lea Salonga performed together was at Carnegie Hall during the New York Pops 33rd Birthday Gala celebrating Boublil & Schönberg's legendary collaboration. Noblezada made her professional debut at 17 as Kim in the West End production of Miss Saigon in 2014 and then as Eponine in Les Misérables. She was nominated for Best Actress in a Musical when she repised her role of Kim in the Broadway production of Miss Saigon in 2017. She is set to return to the UK for Hadestown at the National Theatre. Meanwhile, Lea Salonga has just ended her run as Erzulie in the Broadway production of Once on this Island. Salonga is best known for her role as Kim in the 1989 West End production of Miss Saigon, for which she became the very first Asian to win a Tony award. She was as also the first Asian to play Eponine in the musical Les Misérables on Broadway. Currently, she is preparing for her 40th Anniversary concert on October 19 and 20 at the PICC Plenary Hall. READ: ICYMI: Lea Salonga makes her last curtain call on Broadway revival of "Once on This Island"
Are you excited to see Yellow Rose? Sound off in the comments!